Save up to 33% during the next year with ever popular one-day sale on Monday, November 27. Do not miss out on the year's lowest rates. Cyber Monday Deals from Parrish Kauai. Save on your next Kauai vacation during Cyber Monday. Call Parrish Kauai at 800-325-5701 or reserve online. Hawaii travel enthusiasts are invited to save up to 33 percent on Cyber Monday with exclusive savings on Kauai vacation rentals from The Parrish Collection Kauai. Stay dates include January 7 to December 15 as well as this year up to December 15, 2017. Participating Kauai vacation rentals can be booked online starting at 12:01am, Monday, November 27 using the promotion code CYBER for the discount. This 24-hour sale ends the same day at midnight (Hawaii Standard Time). Parrish Kauai will also accept telephone reservations during the sale from 7am to 5pm at 1-800-325-5701. Cyber Monday deals will be available on all of their exceptional collections of boutique properties that offer the finest in tropical ambiance. Locations include Poipu Beach on the South Shore, the Princeville Resort area on North Shore Kauai and prominent Lodge at Kukuiula. For exceptions, please see below. Guests can save 33% during low season from April 1 to May 31 and August 19 to December 15, 2018 and 20% discount the rest of the year. Blackout dates are December 16, 2017 to January 6, 2018 and November 17 to 25, 2018. Amenities include full kitchens, washer/dryer, free parking and complimentary Wi-Fi. A guest concierge service is available to all guests. Parrish Kauai also features their custom bath products made in Italy by LaBottega and specially roasted Kauai coffee. Below is a sample of participating properties and Kauai resorts. Elite Kauai Vacation Rentals - This select group of properties represents the most distinctive Kauai vacation rentals with premium amenities. Features may include private swimming pool, oceanfront or beachfront homes and golf course locations. Elite properties have pre-arrival consulting, a Mai Tai reception on arrival and assistance during stay from a personal Island Host. 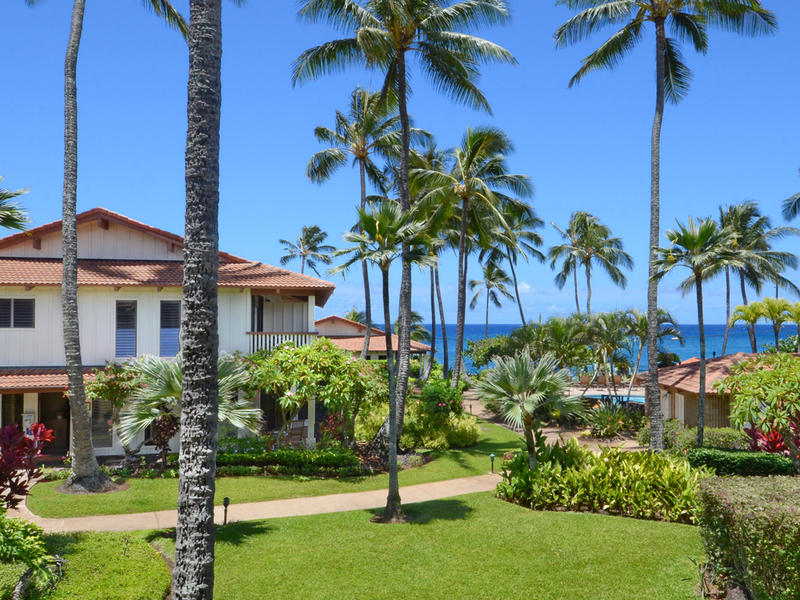 Poipu Kai - Choose from popular Kauai condos and elegant residences in this 70-acre master resort. A popular greenbelt walking path connects all of their Poipu Kai properties to favorite Kauai beaches. Hanalei Bay Resort - Guests enjoy two swimming pools, eight tennis courts, and 22 acres of Hawaiian paradise a short walk to a white sand beach. Some units include ocean views and a choice of 1-3 bedroom condos. 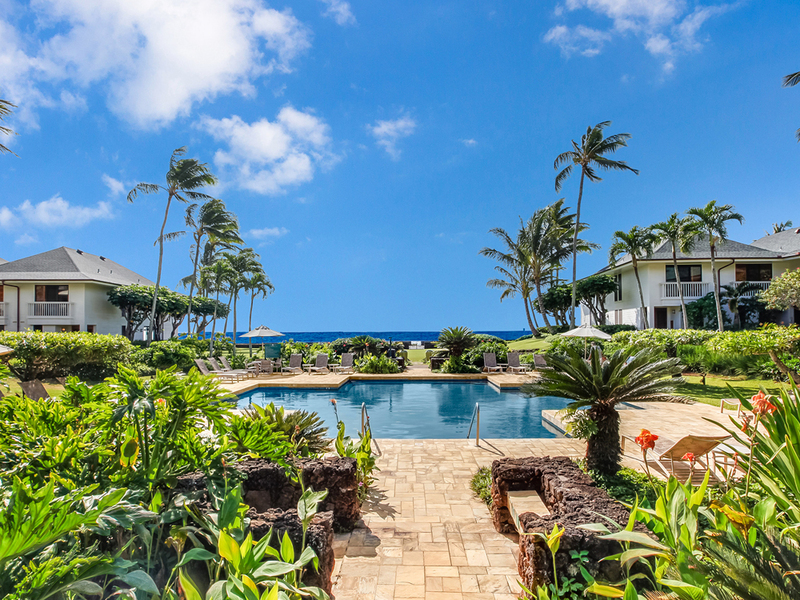 Poipu Kapili Resort - One of the most sought after Poipu resort destinations, all units have ocean views and are a short walk to Kiahuna Beach and The Shops at Kukuiula for fine dining. Complimentary tennis and an ocean view pool are included. Lodge at Kukuiula - Exceptional club cottages, club bungalows and club villas all feature access to The Club at Kukuiula with its members only spa, golf course and restaurant. Policies on Parrish Kauai Cyber Monday Deals. Book eligible properties online using CYBER code on stays between January 6 and December 15, 2018 with November 17-25, 2018 excluded. Remaining dates this year end on December 15, 2017. You can also call Parrish Kauai at 1-800-325-5701 to reserve. Payment in full is required at time of booking and is non-refundable. Discount applies to new reservations received on November 27, 2017, only. A seven night minimum stay is required. Savings cannot be combined with any other special or promotion. Additional processing and cleaning fees apply and sometimes a resort fee. Rates do not include 13.416% (2017) or 14.416% (2018) state tax. No travel agent commissions are paid on this promotion. 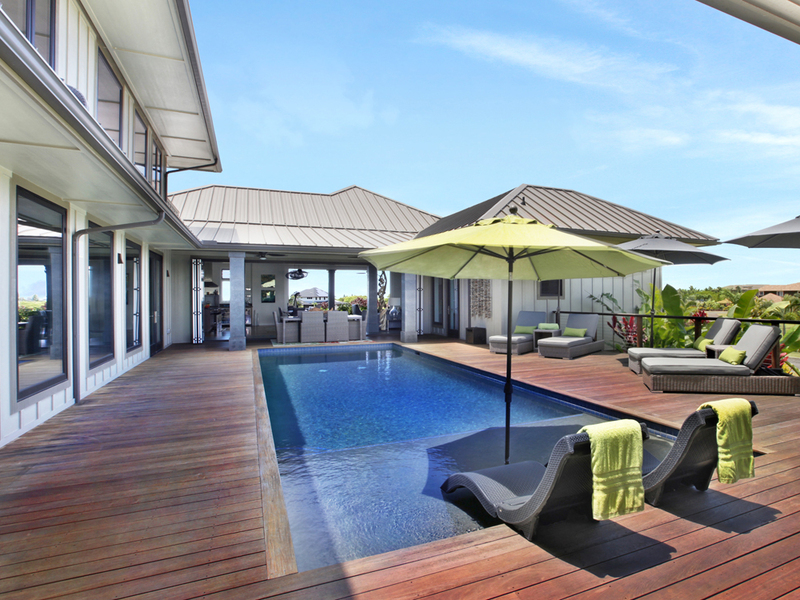 About The Parrish Collection Kauai – Purveyor of Professionally Managed Luxe Kauai Vacation Rentals. Their distinguished and unique collection of properties on the South Shore Kauai and North Shore Kauai is complemented with dedicated and friendly staff committed on delivering the finest services of hospitality and lodging experiences. The Parrish Collection Kauai has been serving guests and owners since 1984 and now has five offices on Kauai with convenient locations in Koloa, Princeville and Poipu Beach. Parrish Kauai also manages the classic oceanfront Poipu Kapili Resort, time-honored Nihi Kai Villas, ever popular Waikomo Stream Villas and serves as exclusive manager of The Lodge at Kukuiula. For their best available Kauai rates, online direct booking and property information, see the Parrish Kauai website or call 800-325-5701. Visit their live Kauai webcam too that features views of the Poipu Beach coastline and beautiful Kauai sunsets. Properties excluded in this promotion are: Anini Beach House, Hake Ala Moana, Baby Beach House, Nanea, Nihi Kai 100, Turtle Cove Cottage, Emmalani Court 215, Frangipani and Cottage at Frangipani, Hale A Kai, Hale Makai, Villas on the Prince 39 and Hanalei Bay Resort units 4102, 42045, 4205, 42056, 8102, 93045, 9305, 9323. 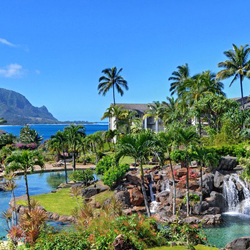 Hanalei Bay Resort.Cyber Monday deals include many North Shore Kauai resorts at Princeville. Nihi Kai Villas.One of many featured Poipu resorts on Cyber Monday. Poipu Kapili Resort.Ocean view condos available during Cyber Monday from Parrish Kauai. Hale Maluhia at Poipu.Cyber Monday features luxury residences that can include private pool, oceanfront view or golf course setting.